Contamination causes severe problems during metal-to-metal contact. 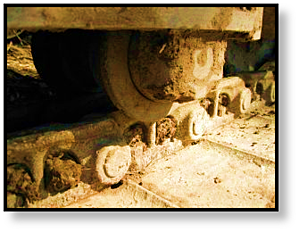 An abrasive particle of dirt can get caught between two gear teeth, or perhaps between a shaft and a bearing. The forces involved can cause the particulate matter to damage the surfaces involved. This results in premature wear and surface damage. Particulate contamination also increases friction, which results in increased generation of heat. As that heat is increased, the friction further increases in a lethal cycle for the components in your gearbox. Heat will substantially increase the rate of wear and negatively affect the surfaces involved. Contaminated gear oil means that your bearings are going to be severely damaged. That affects alignment and motion in your final drive motor. When the bearings start having trouble, the gears and axles are going to start shifting out of alignment. That introduces forces and moments that the system was designed to handle, resulting in severe wear and premature failure. Badly contaminated bearings are almost impossible to clean out, and even if they are cleaned the damage they suffer usually renders them useless. The wear that results from particulate contamination generates even more wear particles as tiny pieces of metal flake off or break off. This leads to another lethal cycle for your gearbox. As wear continues, loss of power occurs. The results are expensive repairs and replacements. In short, contamination is a very expensive problem. The primary type of particulate contamination that does the most damage is dirt. The first step to avoid contaminating your gear oil is to take the time to clean off the cover plate of your final drive before you check or change out the gear oil. Make sure there is no dirt around the plugs before you take them out. Failure to do this will often result in the debris around the plug falling into the gearbox. Next, place the plugs on a clean surface -- never set them down in the dirt or on a dirty rag. Only use gear oil from a properly sealed container. 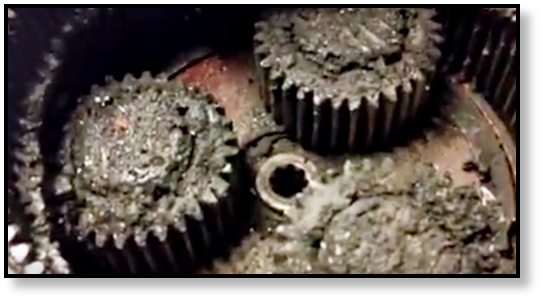 Keep in mind that water contamination can damage your gearbox, too. Never mix different types of oil, either. Finally, change out the gear oil as recommended by the manufacturer. There is another crucial aspect to preventing contamination, and that is attending to leaks. If gear oil can leak out, contamination from the environment and the machine itself can make its way in. If you have a leaking seal, get that seal fixed as soon as you can. 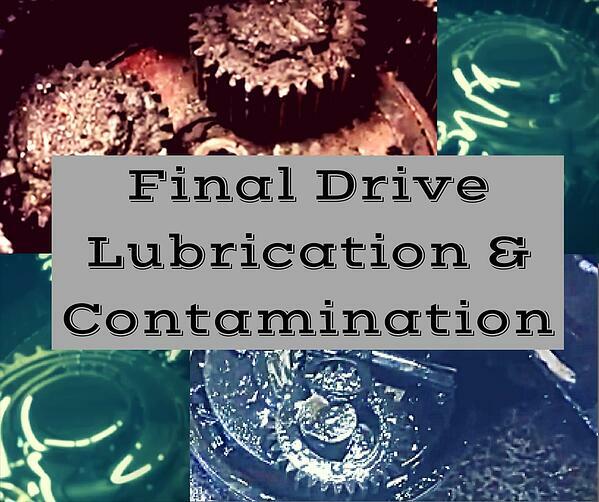 Lubrication is very important for the planetary side of your final drive motor. Check and change the gear oil regularly, but remember to use clean practices to avoid introducing contamination into your gearbox. Contamination is a very expensive problem!